Brought the Waldorf Paper Steam Line project and the District Energy Heating System project to the area. Both of these projects worked a lot of overtime. The steam line was 5.25 miles long. Local 798 tried to claim it under the pipeline jurisdiction, but because it was a high-pressure steam system, the State High Pressure License was required. The job was awarded to Local 455 steamfitters. 101 Steamfitters worked on that job. 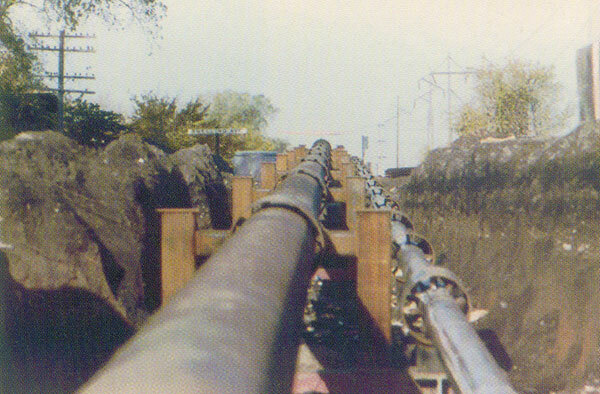 It is on record as being the longest steam line in the United States. The District Energy job was also very unique. This system replaced all the boilers in the buildings in the St. Paul downtown area. High pressure/high temperature hot water was supplied from a central heating plant in the downtown area to everyone who signed onto this system. This created a tremendous amount of work for the Local.